Do you have an illness that doctors and medicine cannot cure? In the Bible, Jesus and his disciples cured the blind and healed the sick. In the beginning of the Tenrikyo religion, thousands of people were cured of their illness; but where are the miracles now? What do we tell people? 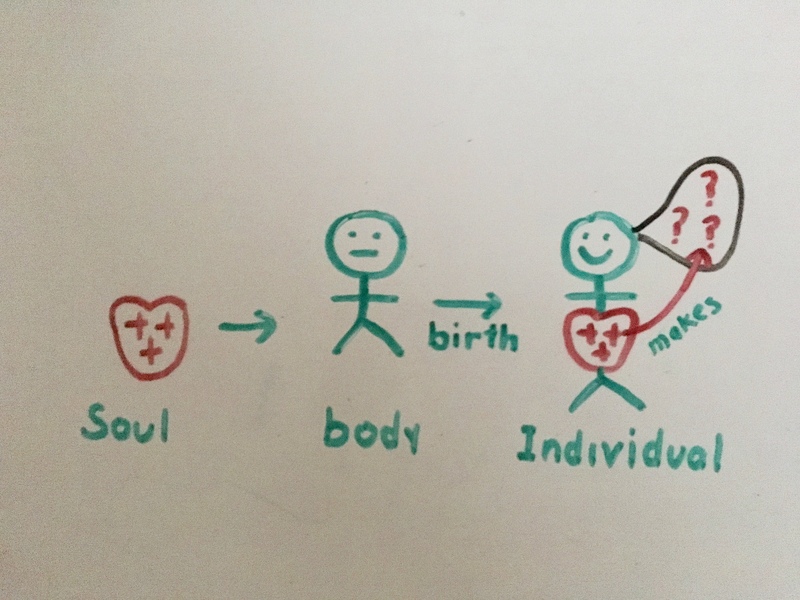 Why will God heal us if we understand the soul? Our souls hold the answers to why we suffer or have joy. Why do we suffer? Why are some people afflicted with cancer? 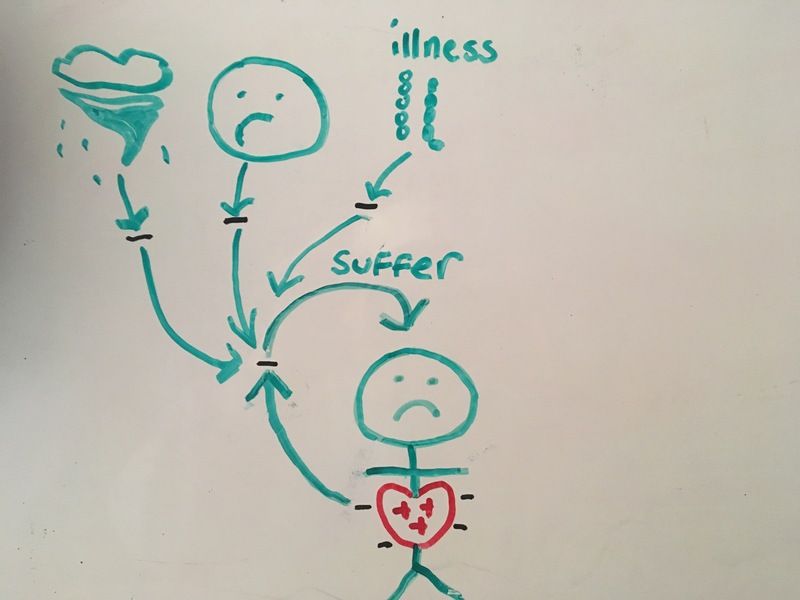 Why do people suffer from diseases? Why do people get into accidents? Why do bad people appear in our lives? Are these all coincidences or planned by God? The answer is no to both of the above questions. The events in our lives are not haphazard coincidences or instigated by God. God tells us that she has been a spectator since the creation of mankind. * In the original English translation, mune or heart is translated as My heart or God’s heart, which completely changes the meaning of the verse. What is the soul, and how do we purify it? The soul has also been called the heart or the spirit. Scientists have not yet located and verified the existence of the soul in our bodies, but many of us believe that it exists. From a hypothetical perspective, the soul is who we are. “My soul exist, therefore I am” would be an analogous phrase to what the great philosopher Descartes once said to prove his own existence. Our souls are who we are; and our bodies are transient dwellings borrowed from God, that our souls utilize to seek “True Joy”. Our physical bodies eventually decay, but our souls continue for eternity. Our souls are like little suitcases that carry our essence. They collect, store, carry and distribute information from one lifetime to another. What information does our souls carry? Metaphorically, some suitcases (souls) will be described as more heavy and distorted, transferring upon negative thoughts (see figure 1) and sufferings to the body; while other souls will be described as light and symmetrical in shape, bringing upon positive thoughts and only joy to the body. Most of us will have souls somewhere in between the two extremes. Why are there differences in the souls? To find out, one needs to understand the relationship between the mind, the soul, and the body. Evil thoughts (?) are arrogance, greed, self-love, miserliness, and covetousness. ? represents good thoughts. There are no surprises in what thoughts we receive from our souls. We have the same thoughts that we have acted upon in our past lives. For example, if we acted upon the thought of greed in our past lives, we have the same thought of greed in this lifetime. The soul enters the body and creates the mind, using the body’s complex neural system. ? represents good thoughts. From these same thoughts that we have acted upon in our past lives, the soul brings forth joy or sufferings as fate to our bodies (causality or karma). For example if we acted upon the thought of greed in a previous life, the soul may manifest suffering or obstacles to remind us of the thoughts of greed that still persist in our minds today. We now know that evil thoughts in our minds are the sources of our sufferings. It is these evil thoughts that influence us to act negatively when temptations or obstacles delivered by our souls occur in our lives. How do we remove these evil thoughts from our minds? We cannot just will or wish our evil thoughts away from our minds since they are like dusts that are ingrained in a mirror; we cannot just sweep them away. Much effort will be needed to eliminate them. Fortunately God gives us free will or control of our minds; and also we have help from our souls to help us eliminate evil thoughts. How does this happen? God tells us that we can eliminate evil from our minds by not acting upon them when the soul manifest suffering, temptations and obstacles in our lives. It is because God grants us free will or control of our minds, that we can resist acting on what evil thoughts are in our minds. Many would believe that fate delivered by the soul is not desired, but it actually helps us realize that evil exist in our minds. We can eliminate evil thoughts when our souls manifest fate, by calming our minds, acknowledging our evil thoughts, and resist acting upon them. By this process we can gradually purify our minds using both our fate and free will. What happen when we act on our evil thoughts? 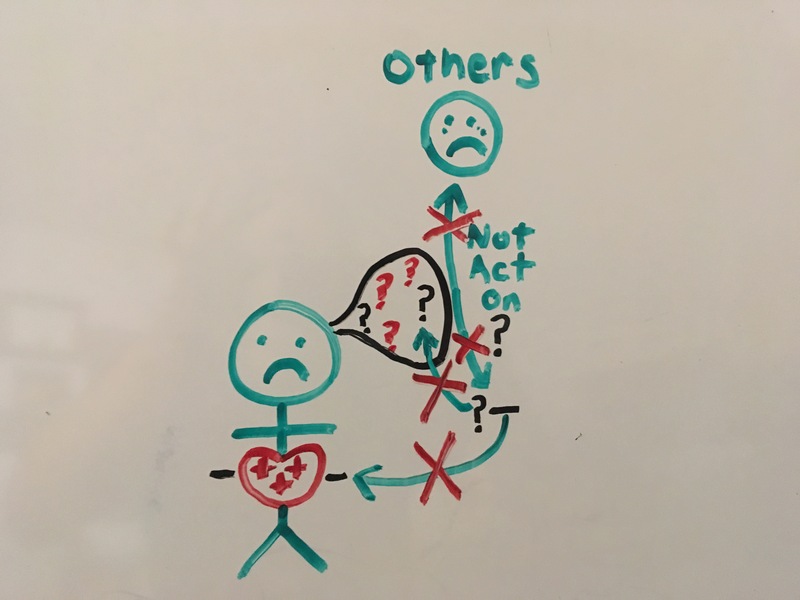 When we act on our evil thoughts, more evil thoughts are created in our minds (figure 3) ; and our soul collects the demerits created by these acts, and eventually releases them as sufferings, temptations and obstacles (see figure 4). When we act on our negative thoughts (? ), we cause suffering to others, and create negative energies (-) or demerits that convert to more negative thoughts and also demerits which the soul collects and stores. Our negative energies (-) or demerits around the soul manifesting into delayed sufferings, obstacles and temptations to ourselves. No demerits or negative energies (-) and negative thoughts (?) created if we do not act on our evil thoughts. Understanding the soul explains how causality, innen and karma function as nature’s justice. When we understand the soul, we realize that our present obstacles are the result of our own past evil actions that we do not recall (actions of past lives). We should not become angry at the messengers of our souls. Do not blame your spouse, coworker, strangers, or even God. It is easy to act with retribution when you feel that you have been wronged. It is also easy to blame others, even blaming God when suffering occurs. We must look within our minds to understand why our souls deliver these obstacles. God compares the digging up of a root of a tree to the process of purifying our minds. As we must have strength and persistence in removing a long root, we must have persistence and strength not to act upon our evil thoughts when inconveniences occur in our lives. We must not be discouraged by what our souls bring forth in suffering; some of us may have longer roots(more sufferings) because we have more evil thoughts to remove from our minds. When we purify our minds (completely dig the root out), our souls will bring upon only joy. The healing of the body is of primary concern when we are sick. Most of us will give up all our material wealth in order to be healthy again. It is from this perspective of health, that God will heal you from any illness if you truly understand the soul. God grants us the blessings of healing in order to have us understand the soul, and begin the process of purifying our minds of greed, arrogance, anger, enmity, miserliness, covetousness, and self love. Understanding the Ofudesaki to spread God’s truths. Understand the soul and continue to purify our minds of negative thoughts ( sin/evil ) when confronted with temptation and sufferings manifested by the soul. To spread and share God’s truth; telling people that illness and the healing of illness may be God’s guidance to help one understand the soul/heart. This conveyance of God’s truth is called hinokishin. To pray daily with our special prayer (Joyous Service), asking God to help people understand the soul/heart and to sweep evil from their minds. We pray for the salvation of others! This is why our prayer is so important in our faith. Kanrodai at Ojiba is where our prayer is directed toward. To heal the people whose minds have been revealed when God guides them to us by the sazuke (saving prayer); and teach them about the soul (heart), causality and true sincerity. True sincerity is a mind that ponders over suffering and obstacles that the soul delivers, and accepts these inconveniences in a joyous manner. This will make our minds pure and spirited; and by the principle of causality will bring forth joy in the future due to the pure soul (heart). This process of (1)understanding the soul and purifying our own minds by acting appropriately to what the soul manifest, (2) spreading the truth of the soul (hinokishin), and telling people that God will begin to work to help us understand the soul and (3) praying with the Joyous Service asking God to bring these people we have spread the truth to our places of worship, continues until all mankind is purified of evil thoughts. Please understand the soul/heart, and share with others the sacred book (Ofudesaki) that promises you a “Joyous Life”. Am I a bad person because because I am sick or suffering? Conventional belief in karma would say that you are suffering because you committed evil acts in the past. Our belief (Tenrikyo) will say that everyone has God’s pure soul in them or goodness within, but have accumulated negative energies around their souls that have manifested into sufferings. 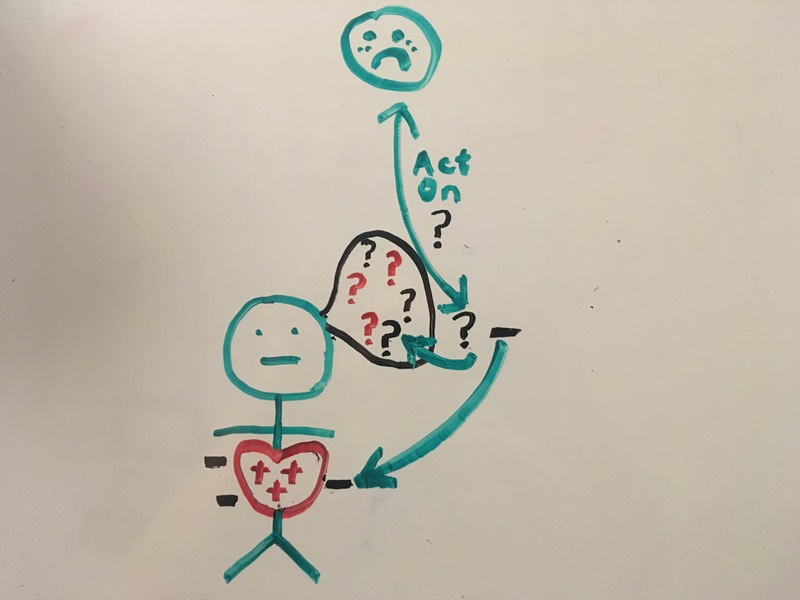 While these sufferings maybe unpleasant and sometimes unbearable, they give us opportunities to begin to remove evil thoughts from our minds if we do not act on them (see figure 6). We have control of our future to have a joyous life. What about race and gender? Tenrikyo would says that our souls have no color or gender. Our bodies are only borrowed from God. From the perspective of the soul, our appearance does not matter in obtaining joy. Do I need to believe in God to have joy? The Ofudesaki says that one just needs to understand the soul, and respond appropriately to what the soul brings forth. But if one wants to share these truths with others, believing in God may be beneficial for this purpose of God helping you to spread the truth. I have faith in another religion; is what is written in the Ofudesaki and my religion compatible? Tenrikyo believes in the purification of our minds of evil thoughts (greed, arrogance, and self love). All religions will gladly accept this belief. Tenrikyo says that we should ponder over suffering and reflect on our own minds; but what do we say or do to people that are the messengers of our souls and causing suffering to us and others? We believe that we should not act on our evil thoughts when these sufferings are directed to us. We must avoid causing harm to others; depending on God to protect us. This is why God tells us to help spread the truth about our souls and pray, so the whole world can someday understand the soul and live the Joyous life one day sooner. IT IS THE SOUL THAT BRINGS UPON SUFFERING OR JOY. GOD WILL HEAL YOU IF YOU TRULY UNDERSTAND THE SOUL. THE OFUDESAKI GIVES US THE INGREDIENTS TO SAVE ALL MANKIND. Ofudesaki (Tip of the Writing Brush) 6th edition, Oyasama, Miki Nakayama, Tenrikyo Church Headquarter. Disclaimer: The content of this site does not reflect or represent the opinions or stance of Tenrikyo Church Headquarters.